Since 1984, Utility Trailers of New England, Inc. has focused on providing exceptional service to all of its customers. Our two locations allow us to fulfill our customers’ needs for parts, sales or service. With the goal of keeping you on the road, we offer same day parts delivery and full service repairs at both locations. We specialize in the highest quality trailer lines including Utility, MAC, Landoll and Witzco. Call us today! Please note: Our offices will close at 3PM the day before a holiday. We are proud to announce that we are now carrying the Witzco Challenger line of trailers, including tag trailers and low boys! For more information, visit Witzco's website or give us a call! 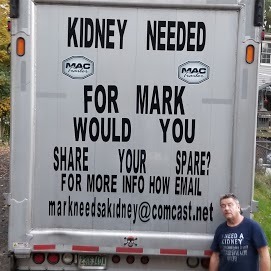 Our good friend Mark "Boomer" Boomhower is in need of a kidney and we are asking you to please take a minute and head to Mark's site to read his story and see what you can do to help.